Ever wondered how to be less busy and start getting things done? You start from correct planning. If you are like most business owners, managers and executives, you probably feel continually swamped at work, with an endless line of tasks that seem to completely take over your day and not give you enough time to complete everything. The same applies to your employees. With the work continuing to build up and the days not growing longer, you and your team need a completely different approach to utilize your time better, cut down on your work and yield better results. No matter what form of business, what products your company sells or what kind of services you provide, a technique known as Pareto Analysis is able to drastically improve the performance of not only you, but the entire staff. This way, productivity increases, the work load decreases and the business grows, all the the implementation of this single technique. How about doing more by doing less and having a happier team? The Pareto Analysis is a specific technique used during decision making. It's designed to select a small level of tasks with the largest overall affect. The idea of the technique is to do the most important 20 percent of the tasks, which results in 80 percent of the most important goals and objectives being achived. So, if you focus in on the 20 percent of work responsible for the larger bulk of tasks, you and the entire office is likely to prosper. You just need to know how to specifically implement the service to work for you and your company. A good example of this is our task and to-do lists. Quite often we have tens and tens of items on them. In reality, let's say you have 30 tasks (ouch!) written down, accomplishing 6 or so (20%) of them gives the biggest impact. The rest are often much less important. The Pareto analysis is all about selecting a small amount of most important tasks that have direct results with other areas of the work. After that you just keep a laser like focus on making sure these important goals get accomplished, nothing else. Just take a look how Google sets goals and nails them. Often times, you are going to find there are specific tasks you complete that have a domino affect on the rest of the office. Being able to do this throughout the work week is not only important for the production of your office, but for time management throughout the entire business. This is why sitting down at the beginning of the week and determining what is ultimately going to have the greatest affect on your work is so essential. Here's where weekly team planning and employee status reporting products like Weekdone come into play. 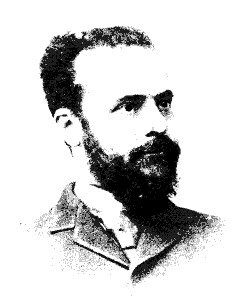 Vilfredo Pareto observed in 1906 that 80% of the land in Italy was owned by 20% of the population; he developed the principle by observing that 20% of the pea pods in his garden contained 80% of the peas. When you walk into work on Monday, you need to sit down and look at everything you need to do throughout the week. Find your top ways for a productive week. Write all of this down either in Weekdone Plans section or your favorite task manager. Then for each task think what kind of impact it has and move it to the top of your priority list. You are going to see some of the smaller tasks you need to complete are actually going to have a substantial impact on some of the longer tasks. For example, you might find completing emails is actually going to end up reducing the amount of phone calls you need to make and the amount of customer service requests you have in the long run, so by completing this task you are actually eliminating other tasks you have to complete throughout the week. On the other hand, some of these small tasks are really not important to the goals and objectives of your team and whole company and nothing happens if they are done later or cancelled altogether. If possible, just delete some tasks and try to come up with 5-7 most important todo items for this week. Then just do them. Looking over everything you need to accomplish and finish off is going to allow you to determine what is best to complete early on and how it is going to affect the rest of the work throughout the remainder of the week. Decision making matrixes like the Eisenhower process are a good way to categorize your tasks and choose the most important ones. 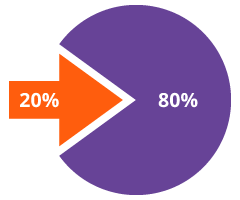 The Pareto analysis technique is all about doing 20 percent of the work with a direct impact on the 80 percent of the results. This is going to help you out, especially if you are able to complete the majority of the 20 percent early on. You'll be amazed as although you are completing less work during the week and are less busy, you are actually finishing more and able to move ahead with your weekly work schedule. Remember to follow us on Twitter, Google+ and Facebook for all about task management, pareto, gtd and more!